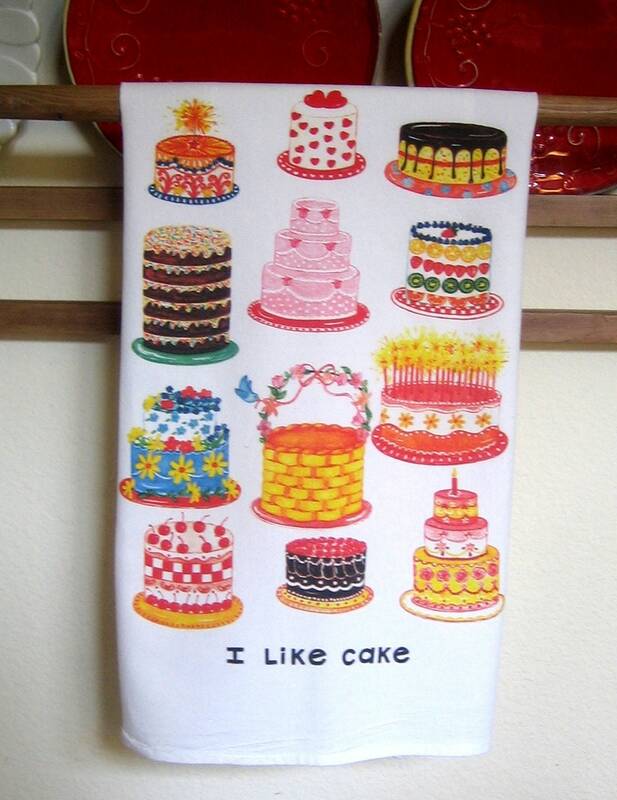 I Like Cake Kitchen towel for cake lovers. 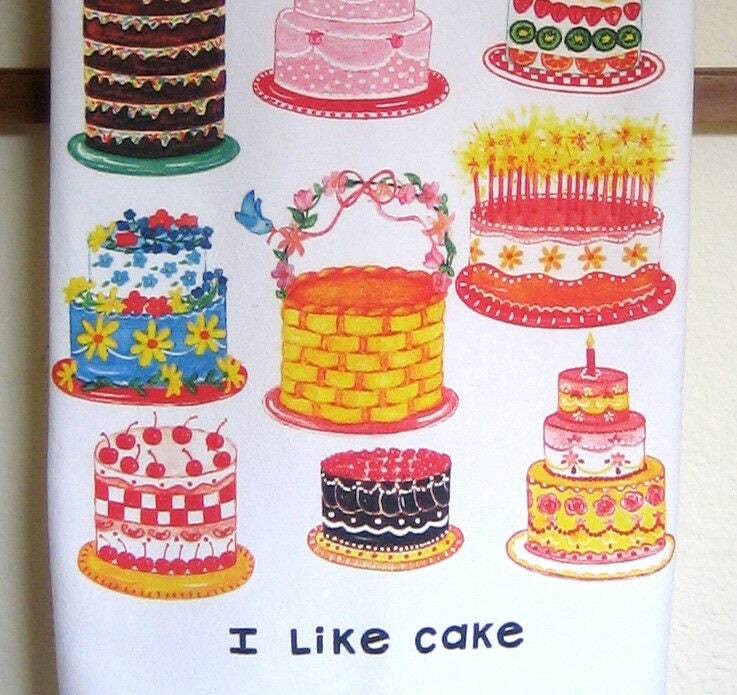 Colorful, detailed, watercolor cakes to brighten up the kitchen and possibly inspire some baking. 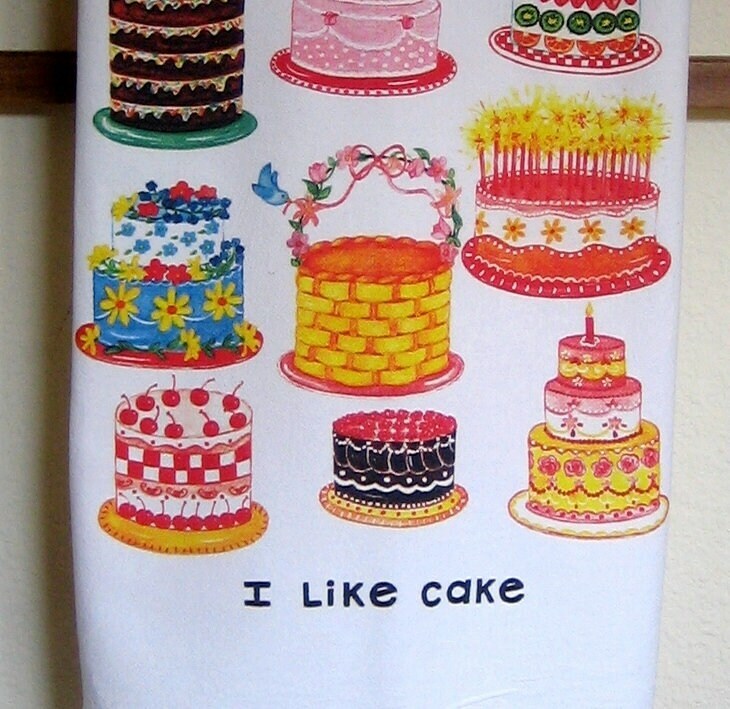 Large (29x29) nice quality and weight 100 % cotton kitchen towel. Design (appx 10x15) is digitally printed center bottom edge, meant to be shown when towel is folded, hanging on a rack or oven door.